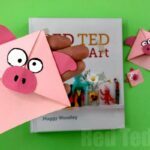 Well, we haven’t had a Corner Bookmark here on Red Ted Art in a while (though I continue to share new designs WEEKLY over on YouTube! ), instead we have been recently foraging into more general DIY Bookmark Ideas. 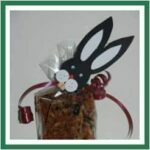 But a bookmark is a bookmark and we love them.. whether corner bookmarks or “regular ones”. 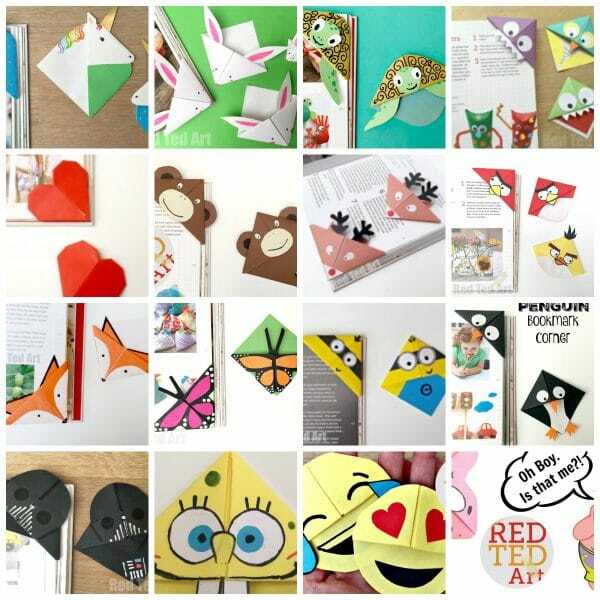 Bookmarks are simply fun, inexpensive and easy to make. 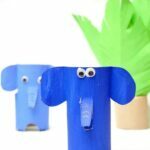 And we love all easy crafts, right? We particularly love bookmarks, as again, they USUALLY only need paper. 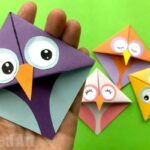 Paper Crafts are wonderful for kids, because it is inexpensive and accessible. And if you don’t have all the different colours of paper that we have used, you can always use pens and crayons to colour in your designs and still make these fabulous bookmarks. Well, today, it is all about SAFARI Animal Bookmarks! 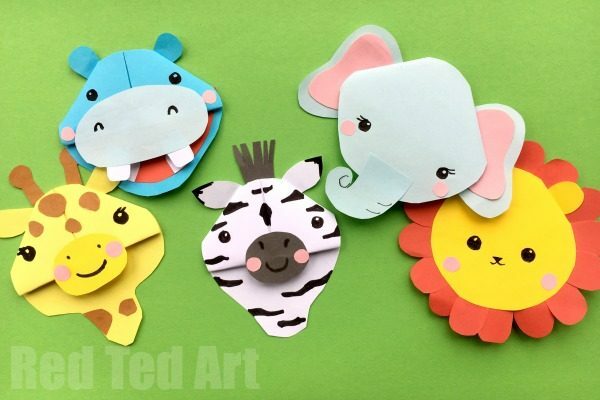 Inspired by the great plains of Africa, these Safari Animals – Giraffe, Hippo, Elephant, Lion and Zebra – are perfect for any African Study Unit. Have you got a favourite? I find it REALLY hard to choose. 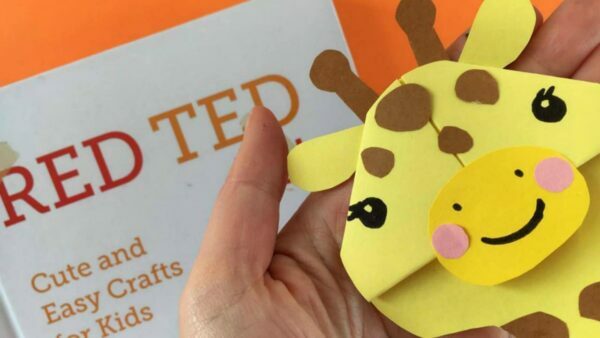 Many of my YouTube Kids ADORE the Lion Bookmark Corner, but I think personally, I adore the Hippo Corner Bookmark. I love how it’s mouth opens up wide and pops over the corner of your book. Just too cute. Ok.. as with all our Corner Bookmarks, I have a video “How to” for you. But today, I have a dilemma.. as I actually have 6 (ha!) 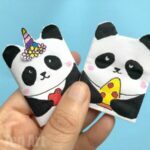 different videos to show you – there is the “main one”, which shows you the basic origami bookmark fold PLUS the 5 animals in “speedy version”… and then there are 5 individual videos, where I take my time to share the information for you. I am not sure what you prefer… so I will indeed share all 6? And you pick the one that suits you best? I hope that works for you! So this is great for those of you that just need to learn how to make the basic bookmark shape and that can work out how to make the rest of the animal simply from taking a quick look. 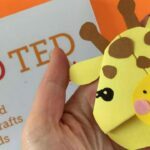 I have in fact shared the Giraffe Bookmark Corner before – when we were celebrating the birth of April the Giraffe’s new baby!! But here it is again. As mentioned, I particularly love this safari animal bookmark, as I love how the mouth “opens and shuts” around your book! Too cute. 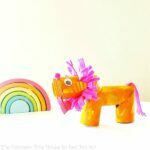 The lion is a particularly popular safari animal and it was in fact inspired by my then 6yrs old’s version of a Lion Bookmark Corner. I actually think that hers is cuter!! 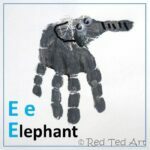 As mentioned this Elephant Bookmark could easily be converted into a lovely Disney Dumbo bookmark, don’t you think? And finally the Zebra Corner Bookmark! Last but by no means least.. check out this handsome Zebra bookmark corner. Isn’t he fun? 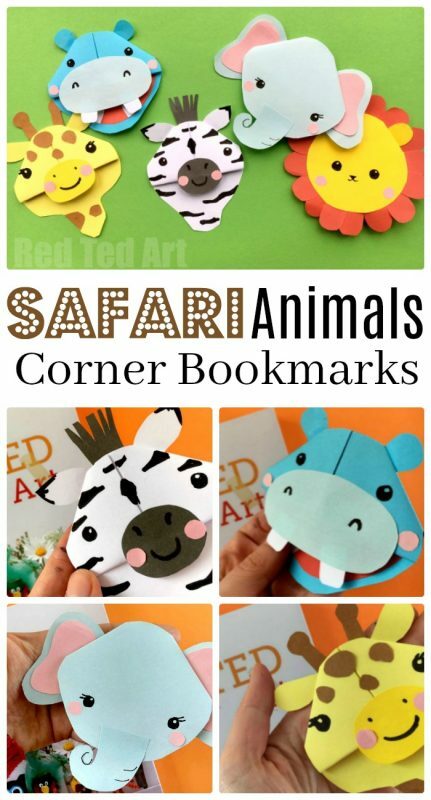 Enjoy making your Safari Animal Bookmark Corners! Nagyon szeretem az oldaladat, sok jó ötletet,inspirációt találok a munkámhoz. KÖSZÖNÖM!